I hope y'all aren't tired of hearing about how excited I am for fall... because it's not going to stop! :) With fall only less than a month away, I thought it was time to get y'all ready and as excited as I am! There are so many fun trends that will be coming along with the cooler weather and I wanted to share them with you! I have been loving hats lately! It all started this summer and I can totally see it continuing into fall! 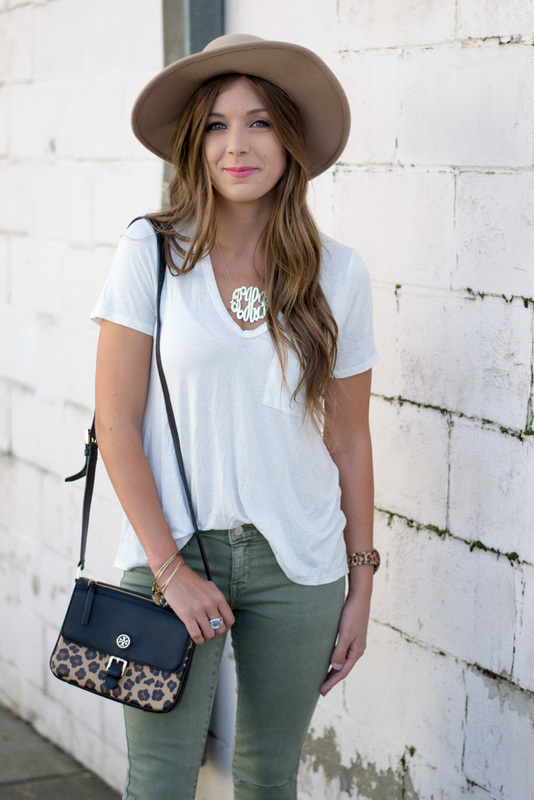 I think I love hats mostly because they help disguise my dirty hair (Confession: I HATE washing it), but I also think they are a great addition to any outfit! Nordstrom has such a great selection of wool hats to choose from! Even if you aren't a hat person, you are bound to find one that you love! Now this is a trend I could get used to! When I saw these booties during the Nordstrom Anniversary Sale, my first thought was "what's even the point?!" But I decided to bite the bullet and try them out (worse case I send them back), and I am SO happy that I did! They are the perfect transitional shoe, but will still be able to be worn a few months into fall! I started to love the lace-up flat trend at the end of last fall, and I'm so happy that they are back this season! I just think they are so cute and can be styled so many ways! I've also had my eye on these lace-up pumps for quite some time! I think lace-ups are here to stay! Blanket scarves will never go out of style if I have any say in the matter! You can seriously throw one over any outfit to add extra warmth and comfort! I love wearing with over dresses, as well as a comfy tee! This is probably my favorite trend of fall and I cannot wait until I can wear them every single day! Cargo jackets are considered a "fall basic" to most and definitely a must have for fall! They pair great with jeans, and are the perfect weight for those cool fall nights! This was my go-to jacket all last fall, and I have a feeling I'm going to be reaching for it a lot this season too! What fall trend are you most excited for this season? LOVE all of these! My favorite is lace-up flats, for sure! You look gorgeous! OMG those booties = want! Your staples are my staples! Confession: I Hate washing my hair too! lol and ive been super into hats this year also. I also LIVING for lace up flats and those maroon ones are to die! Lastly, I'm soo ready for it to be Fall and start cooling down! I love the peep toe booties, lace up flats, and blanket scarf. Scarves in general are just my go to for fall/winter. They are so chic! I love your outfits in this post. Obsessed with all of these! I'm a sucker for wool hats! Can't wait to be sporting all those trends!! Great photos lady! Ahhh, I am totally on the same page Kelsey! I CAN'T wait for Fall. 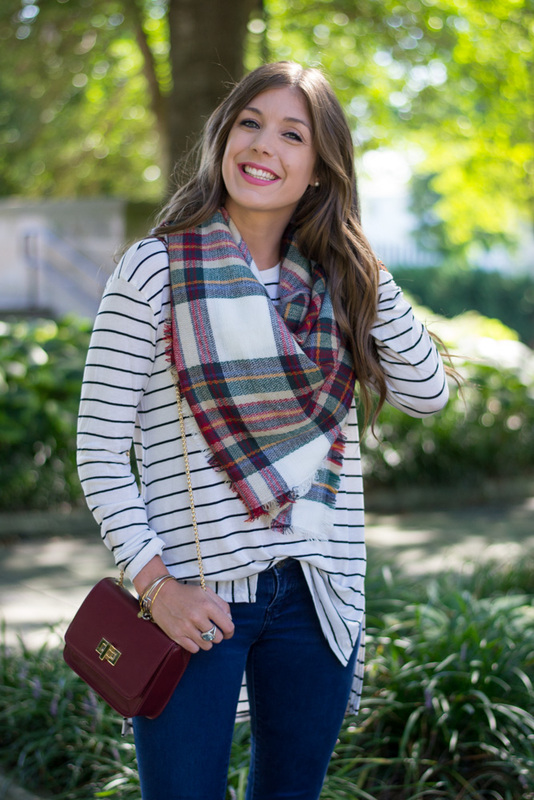 The blanket scarfs and lace-up flats are definitely my favorite! I almost bought some peep toed booties the other day and put them back! Now I regret it! And agreed, I can't wait for fall weather. You are seriously the cutest!! 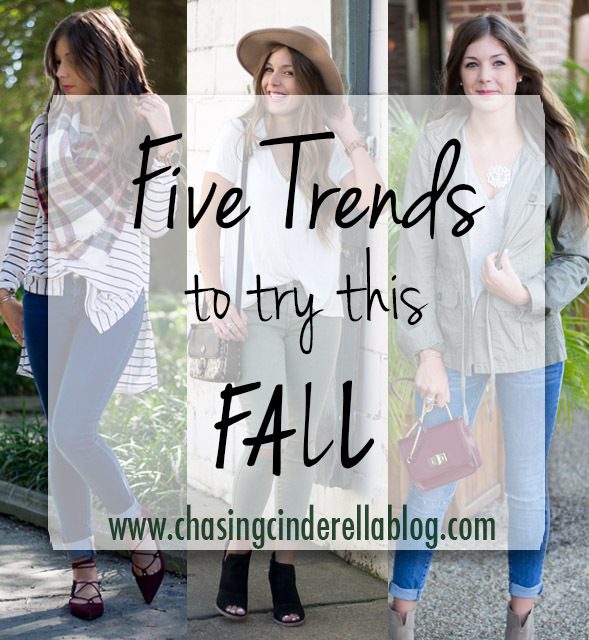 I'm with ya on all five fall trends!! Love them! !